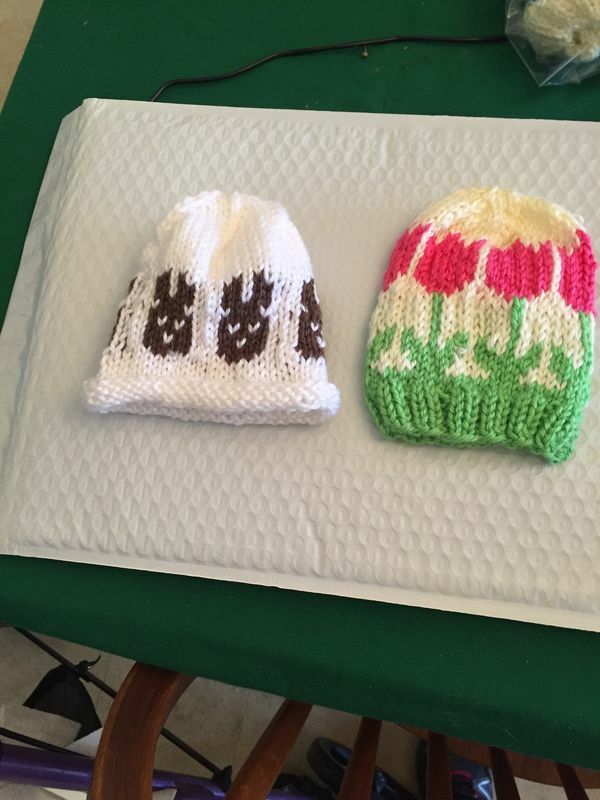 Here are some of the Easter hats I sent to the hospital . They will really love them. Great Easter surprise. Precious mementos for moms to save for their babies.. So cute! 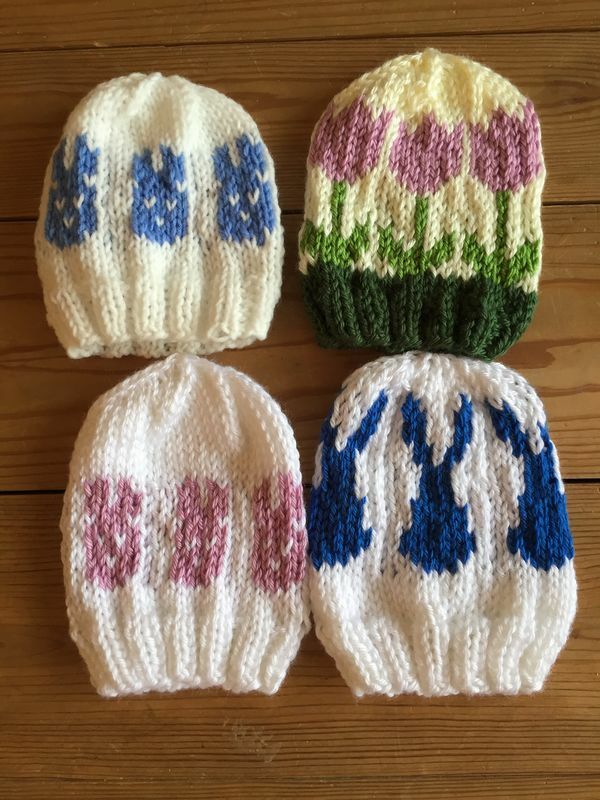 Would you share name of pattern and where to purchase? Thank you. All are lovely, but the tulips caught my eye. Am sure they were a hit !! But those chocolate bunnies are appealing - can only make a cute baby even *sweeter*! thanks for all you did ! All so precious, and so kind of you to donate them. God bless you! Oh my goodness. These are just too adorable. Won't those babies look so cute?